Were you unble to make it to ICBA Live 2019? 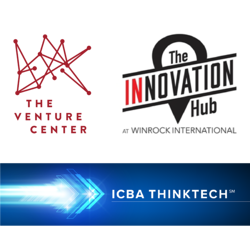 Not able to make it to the Arkansas Regional Innovation Hub in Little Rock today to see us present for the ICBA ThinkTECH Demo Day? No sweat! You can still watch our CEO and Founder, Joe Ehrhardt, present for the ICBA ThinkTECH Demo Day. The Venture Center will be streaming live on YouTube starting at 5pm CDT. Don't miss it!